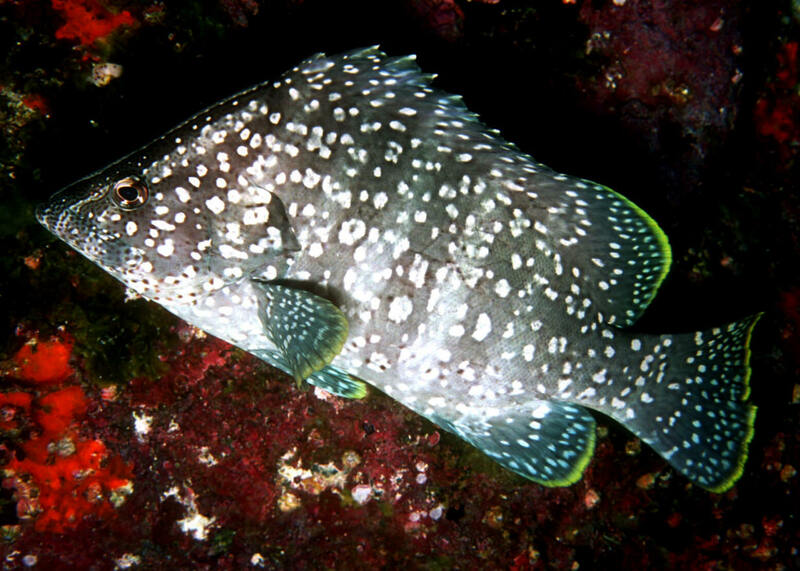 Dermatolepis dermatolepis (Boulenger 1895), the Leather Grouper. 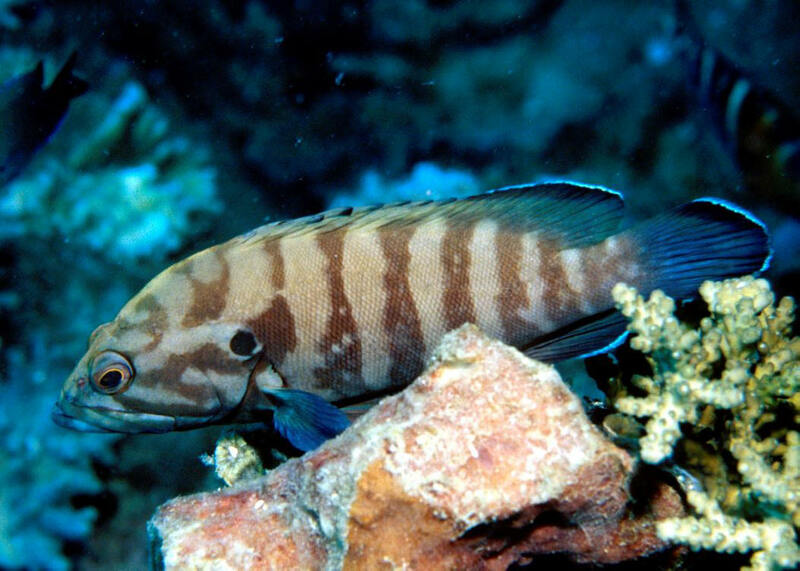 This fish has "made the rounds" taxonomically, being placed in other genera (more recently Epinephelus). Tropical eastern Pacific. Cute when small, this species grows quickly to a large size, to three feet long in the wild. A twelve inch individual in the Galapagos. 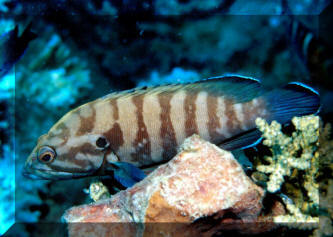 Cephalopholis boenak (Bloch 1790), the Chocolate Hind. Indo-West Pacific. To a mere ten inches in length... Off Redang, Malaysia. 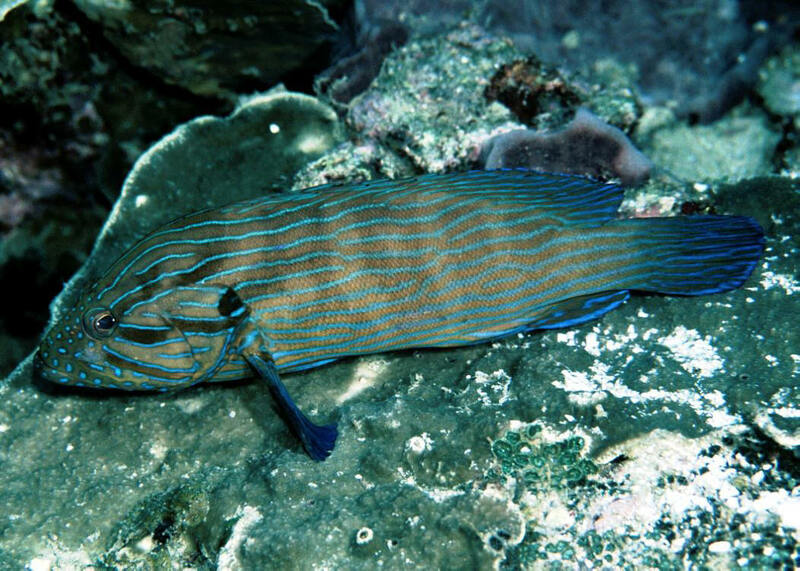 Cephalopholis cyanostigma (Valenciennes 1828), Bluespotted Rockcod. Western Pacific; Philippines to Australia. To fourteen inches overall length. One skulking around Wakatobi, S. Sulawesi, Indo. 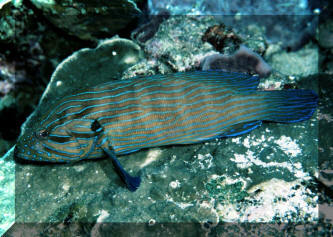 Cephalopholis formosa (Shaw & Nodder 1812), the Bluelined Hind. Indo-west Pacific. To thirteen inches in length. 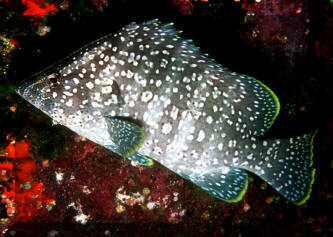 Often misidentified in the pet fish literature and sold as C. boenak (nee boenack). Shy at first and scrappy with other similar-appearing fishes. Pulau Redang, Malaysia.